Jack and Jill is the perfect pre-cut friendly quilt. Fast and easy, just grab 1 or 2 charm packs and a jelly roll (or equivalent) of background fabric, and bingo! You have a quilt top in less than a day at the sewing machine! 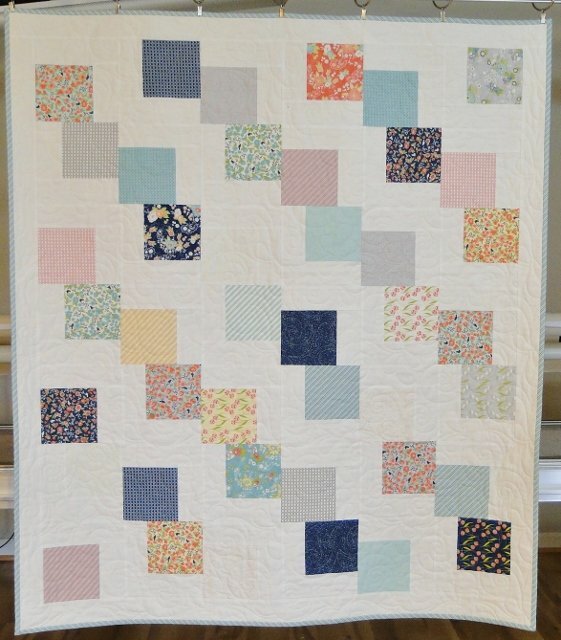 If you are using all pre-cuts, you can make this quilt without having to press or cut any fabric! At the workshop, you will learn how to power-sew the blocks, achieve a random layout without much thought, and apply a nice flat border! Join Sharon for a fun day of sewing and go how with a finished or nearly finished quilt top and a free Jack and Jill Pattern.